The round black eggplant, also called aubergine or black globosa, is one of the main characters of the summer vegetables. Because of its low lipid content and calories (about 17 calories per 100 grams), it is also a tasty food, suitable for those following a diet, especially if cooked in the oven or grill. The only precaution is not to overdo with the toppings, as the eggplant has a particular tendency to absorb the oil. Among the most interesting features is the ability to combat water retention, to the point of being identified as one of the seven super foods that help fight cellulite. Not very well known are the many beneficial properties of this vegetable, which has remarkable properties with heretical, that helps increase the production of bile, stimulates the release of the liver cells and at the same time, helps digestion. One advantage that leads to the improvement of the liver function and the reduction of cholesterol in the blood. Due to its high fiber content, has a high satiating capacity and is an excellent food to be recommended to those who suffer from constipation. It is also suitable for those suffering from muscle cramps, it has a high content of potassium. Notable diuretic properties, being formed by about 93% water. 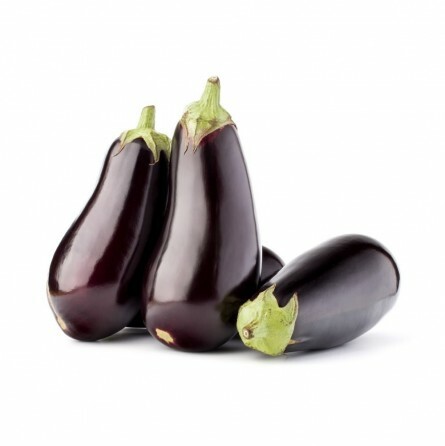 According to some studies, it has been highlighted the utility of eggplant in the reduction of blood pressure since it plays an action very similar to the one played by the anti-hypertensive medications. However, other studies are under way to ensure this property. The product for sale on FruttaWeb.com is an exceptional product, guaranteed by the established relationship with the Consortium AgriBologna, which gives an opportunity to the staff of FruttaWeb to ensure a fresh product, with excellent features, cultivated in Emilia Romagna (Italian region), in compliance with the most stringent production specifications. Ottime, temevo di trovarle nere all'interno, capita spesso purtroppo, invece erano bianche e sode.